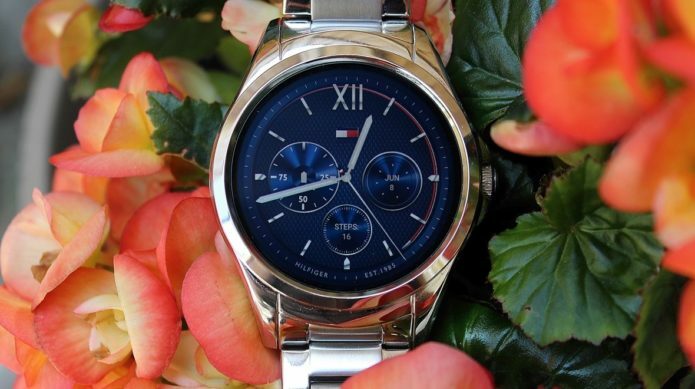 The Tommy Hilfiger TH24/7 You may still have own of the wildest names in wearable tech, but it’s a smartwatch that is still a relatively attractive one. Unlike many of the brands offering a similar base-level Wear experience, the price isn’t unreasonable here, and for that you can forgive the lack of features and bulky design. For those looking for a starting place in the world of smartwatches, this stylish number is a solid place to start. Before Hublot and the Big Bang Referee 2018 Fifa World Cup Russiastepped into the smartwatch game earlier this year, Tommy Hilfiger held the crown for one of the most ridiculous-named wearables in history with the TH24/7 You. Unveiled at Baselworld 2017 by the Movado Group, Tommy Hilfiger’s smartwatch is firmly placed among the score of Wear smartwatches that prioritise looks over feature-packed smarts. We’ve already seen plenty of men’s smartwatches do the same — from Emporio Armani, Michael Kors, and fellow Movado brethren Hugo Boss — and, like those options, guys opting for this $299 smartwatch are likely buying it primarily for the design. But there still needs to be those useful smarts to make it a worthy alternative to buying a ‘dumb’ Tommy Hilfiger watch instead. We’ve been getting to know the designer Wear watch to find that out. Read on for our full verdict on the Tommy Hilfiger TH24/7 You. 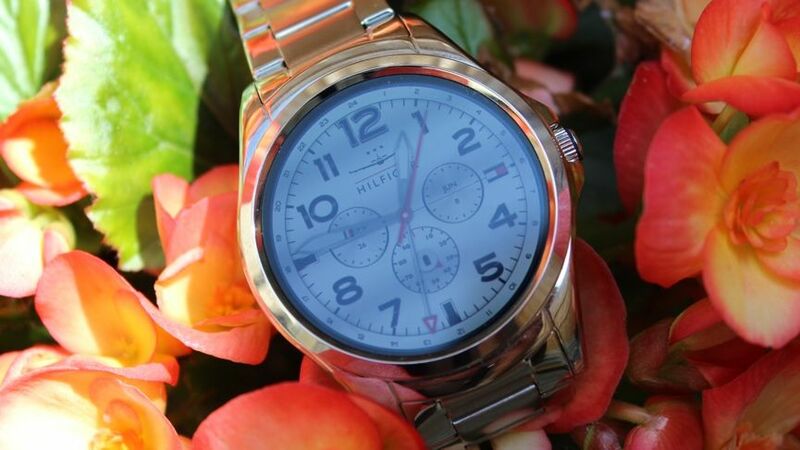 If you’re keeping track of who’s making smartwatches these days, you’ll know that the 24/7 You is Hilfiger’s first true smartwatch entry, though it has previously ventured into the hybrid smartwatch world. 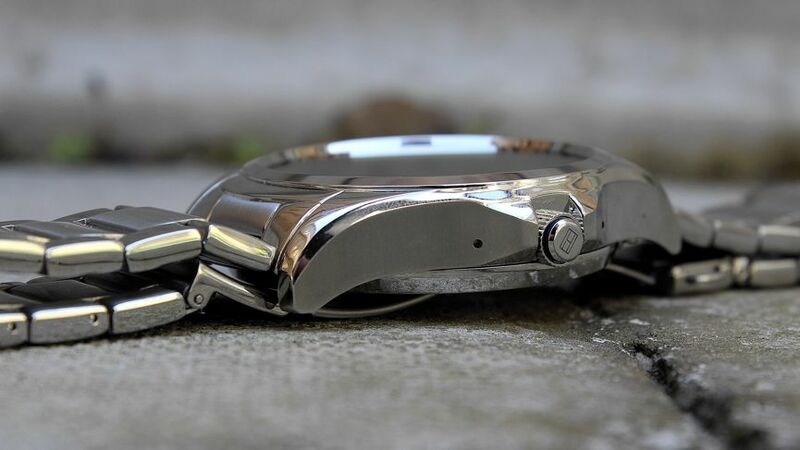 With the 24/7 hybrid, owners could read notifications off a tiny screen sitting at 6 o’clock, while mechanical hands still operated alongside and controlled the time. 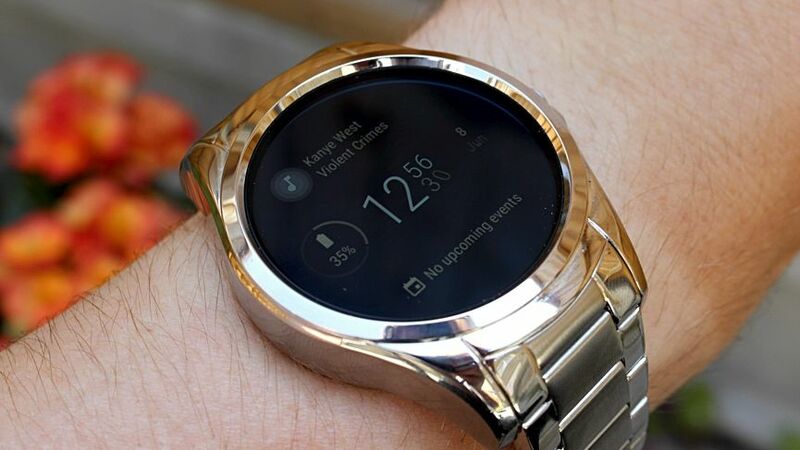 But things have moved on since then, and so has smartwatch design. Gone is the more traditional look, and in its place is a full touchscreen experience, with the 24/7 You bringing a 45mm watch case and crisp, rich colours on that display. Just like the last generation, Hilfiger hasn’t released the exact screen specs (unfortunately not uncommon when it comes to fashion houses and smartwatches), though we did find this effort to be better than most when it came to the sheer punchiness of the screen quality. 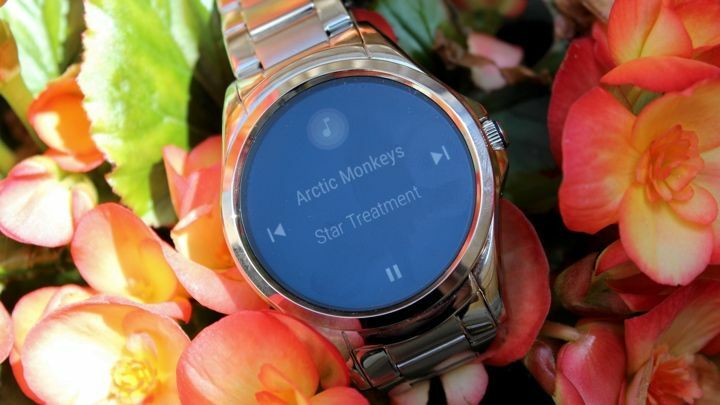 Even in harsh sunlight, you’ll be able to make out what’s popping up on the screen, and it’s a bonus of Wear OS that you can also fix the display to be on at all times — after all, you still can’t do that on the Apple Watch or one of Fitbit’s smartwatches. But while we’re generally fond of this particular design, it’s still a chunky customer, and probably not one those with smaller wrists will feel comfortable wearing. If you’re familiar with the Fossil’s second generation Wear smartwatches, you’ll see this watch bears some resemblance to the Q Founder, in terms of its simplicity, and it can sit a little heavy because of that sizeable thick bezel. Naturally, this is more noticeable if you pick up the variation with the metal band, though it does also come in a leather equivalent. Either way, we’ve found ourselves nicking the 24/7 You against desks, laptops and pretty much everything else during our wear time. And that just doesn’t happen with watches like the Fitbit Versa, for example, which looks a tiny little thing in comparison to this Wear watch. But it’s the price you pay for having a stylish, metal design. If comfort sits high on your list of priorities, we’d always advise getting a leather or silicon band over metal, but, generally speaking, the all-metal design does look the smartest and can help replace many traditional, formal timepieces. Something you don’t have to worry about with a traditional watch, obviously, is navigation. But a touchscreen on board, you’re going to need to use your fingers to tap and swipe around Google’s Wear OS. We’re used to designs like this quickly turning from shiny to smudge-filled in a matter of hours, but for some reason that wasn’t really the case with Hilfiger’s model. Sure, the screen would need a wipe after a bit of use, but it was nothing that really hindered the experience like we’ve found with similar designs. It’s still a shame, though, that the Hilfiger-emblazoned crown is defunct, especially when other Wear models have taken advantage of this physical watch feature to help keep your fingerprints away from the screen. There’s no buttons, either, as you can see, so you really have no choice but to get your greasy mitts all over this one. As we always point out with Wear smartwatches from fashion-focused brands, it’s really the design you’re shelling out the money for. If you’re looking for advanced features, such as GPS, heart rate monitoring and LTE, you’re going to have to turn to the likes of Apple, Huawei and LG. So, what does it have? Well, as you’ve probably already guessed, this is Wear at its most basic. And that’s not necessarily a huge problem, as we say, since it’s not the priority of Hilfiger to target the tech crowd. You’ll still get notifications, which you can personalise within the iOS or Android’s Wear OS companion app, displayed in the usual stream. You unfortunately can’t respond right from the wrist. Once synced up with your smartphone, you’ll also be able to control the music playing, too, and receive alerts regarding your calendar and reminders. Like we’ve seen with the Guess Connect Ace, Emporio Armani Connected and more, where this is able to separate itself slightly is through custom watch faces. Whether it’s a traditional watch hands look or a digital clock, colours and widgets can be mixed up on the exclusive Tommy Hilfiger collection, helping to add a bit more personalisation to the experience. They may not all be our cup of tea, but the fact you get to play around and easily switch between them is a nice bonus that doesn’t go unnoticed. Of course, if you’re fully opposed to the stars and stripes routine Hilfiger has pre-loaded onto the device, you can always opt for Google’s own selection of faces through the Play Store, too or try a service out like Facer. And having access to this also means you can download standalone apps straight from the watch. That’s really handy if you want to bypass the rigamarole of doing this through your phone, though you’ll probably want to read up on the best Wear apps — ones like Nest, Uber, Spotify and Shazam — in order to avoid doing all your browsing on the wrist. With the features above pretty universal among smartwatches, it’s admittedly difficult to get too excited about the package presented here. It can feel like going back in time if you’re used to more fleshed out software experiences, and while we can accept exercise-centric omissions, the fact this (like every designer Wear model from 2017) leaves NFC out of the equation is mightily frustrating. This a lifestyle watch, and paying from the wrist via Google Pay is something which should be standard by now — especially with a bezel this thick. Aside from that, though, this is Wear, and it’s still a strong operating system being backed up by the Qualcomm Snapdragon Wear 2100 processor. There were no significant hiccups during our time with the 24/7 You, and features like raise-to-wake worked a treat throughout — no small feat when it can often take exaggerated wrist-twists to activate many other smartwatches. 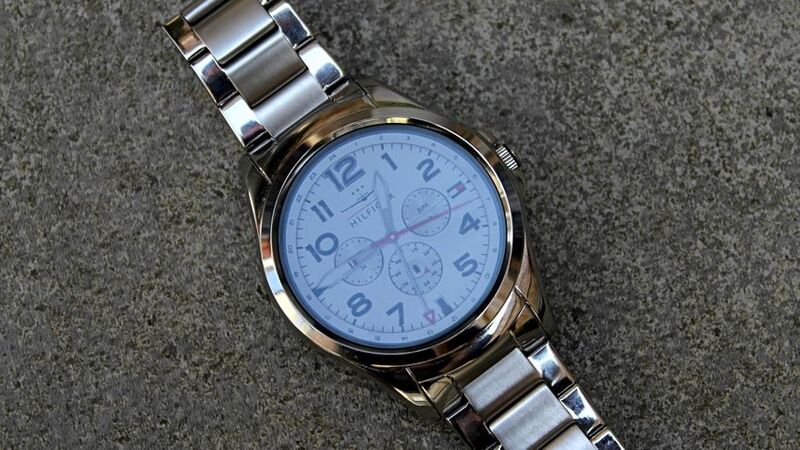 Generally, smartwatches are improving in the fight against poor battery performance, but unfortunately the Tommy Hilfiger 24/7 You isn’t one of those leading the, ahem, charge. As is the case with many of its Wear contemporaries, this is still only providing the same day-long life, meaning you’ll have to rest it next to your smartphone every night in order to remain charged the next day. In our testing, we found that the device would generally last around 20 hours. That’s with the brightness cranked to the max, notification buzzes switched on and the always-on screen enabled. That’s not great, but you’ll definitely be able to eke out a bit more life if you hold back on some of these settings. And one bright spot here is that charging the device back up is fairly quick — around 1-2 hours in our experience — and remains locked in thanks to the magnetic puck fitted onto the watch’s underside.